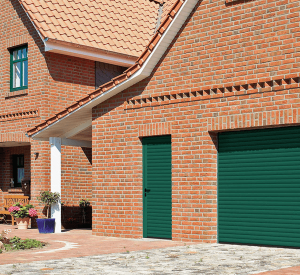 Updating your garage door might not be top of your list of things to get done in 2019 however, it can be a very beneficial investment for your home. A new garage door can improve the safety and security of your home at the same time as upgrading your home’s curb appeal. Our garage doors are often displayed at the front of our house so play a big role in a visitor’s first impression of your home. If you are thinking of selling your house anytime soon then a modern garage door can increase the value of your home. Even if you are not wanting to move house, a new garage door can change how you feel about the exterior of your home, provide greater protection for your home, and can be more convenient to use. 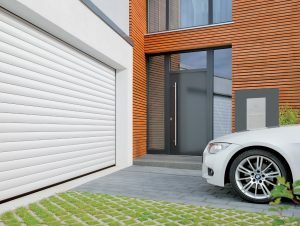 Here at Academy Garage Doors, we have put together this article of the most modern and popular garage door features for 2019. If you want more information or a quote for your new garage door, please contact one of our experts on 01494 539 339. Roller Garage Doors are continually increasing in popularity in the UK. This is likely because they require minimum space inside your garage which means you can make the most of the space you have. They also provide you with maximum space in front of your garage as you do not need to allow room for the door to swing out when opening and closing it. Instead, a roller garage door simply rolls up into a box installed just above the doors. This means you have full use of your ceiling space so can install lamps or use it as additional storage space. The roller garage doors supplied by Academy Garage Doors come in various styles to allow you to perfectly match them to the architecture of your home. For a natural look of the door, choose one of the two timber designs of the Decograin or Deco-paint surface finishes. Or you opt for one of the 11 inexpensive door colours. Of course, we also provide matching side doors. Alternatively to roller garage doors, you may be interested in a side sliding garage door. Side sectional sliding sectional doors are the ideal solution for special fitting situations. In contrast to up-and-over doors, sectional doors or roller garage doors, this type of door opens to the side instead of upwards. This is especially advantageous if, for example, the garage ceiling has to remain free to store items (e.g. a surfboard) or the door leaf cannot be stowed underneath or fixed to the ceiling due to construction reasons (sloped roof, low lintel or obstructive drainpipes). 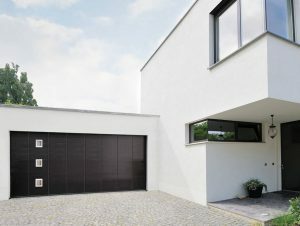 Side sliding garage doors also look very modern and sleek. They are smooth to use and great if you want a unique style. Gone are the days of having to park your car, get out and open the garage door, to then get back in your car to drive it into the garage. Modern garage doors can be installed to be automatic and operated by a remote. This means, if the weather is bad, you need not leave your car until it is parked under the shelter of your garage. Simply press a button on the remote and your garage door will open automatically. 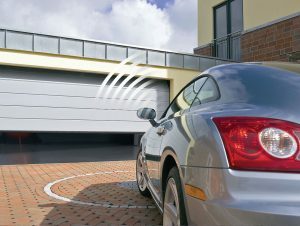 All the automated garage doors provided by Academy Garage Doors will be installed with CE approved safety sensors to prevent your garage door ever closing on a car or human. Hörmann offers innovative operator technology with the fast, convenient SupraMatic, the inexpensive ProMatic as well as the ProMatic battery, the operator for garages without a power connection. Automatic garage doors can improve the day to day convenience of you life. If you would like further information from an expert, please call us on 01494 539 339. More and more people in the UK are making changes in their lives to help protect the environment. Because of this, there is a trend towards eco-friendly garage door features being installed. If you are one of these people then you may be wondering what you can do to make your garage door more eco-friendly. Eco-friendly practices in choosing garage doors are as important as they are in the rest of the house. Firstly, installing greater insulation on your garage door can reduce the amount of energy needed to heat your home. Your garage door is likely to be the biggest opening to your house which means they exert a lot of influence on letting cold air into the house during the winter and hot air during the summer. Insulation is usually made from foam. Please contact Academy Garage Doors for more information on garage door insulation. Secondly, think about the material you use. Aluminium is the least eco-friendly door choice because it is relatively lightweight and thus provides the least insulation. Steel is more environmentally friendly because its heaviness and durability provide good insulation. In 2018 we saw an increase in customers choosing black paint for their garage doors and we expect this to continue in 2019. 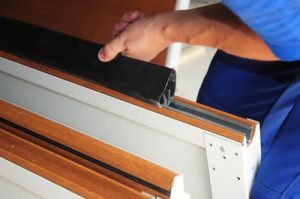 Leading garage door manufacturers such as Hormann and Garagdor often display their garage door designs in black in their catalogues which is further evidence that this is what is selling. Black is the perfect colour for homeowners who want both a modern and unique aesthetic. Your garage door can be an ideal accent feature to not only enhance your house’s overall look but to tie certain elements of your home’s look together. If you are not taken by the idea of having a black garage door, then luckily we are also expecting the return of bold colours for garage doors. In 2019, add panache to your home with a colourful garage door that makes a statement. Choose a shade that goes well with the rest of your home’s exterior but that’s dark enough to make the garage door stand out. As garage doors age, they become more susceptible to failure. Garage door maintenance is important to prolong the life of your garage door. However, there will come a time when a new garage door is the best option. Garage doors often provide a route into our homes so the security of your garage is not to be overlooked. Old and broken garage doors are more likely to be targeted as an easy route into your home. Modern garage doors are designed with security in mind. Updating the quality of your garage door in 2019 will keep your car and home safe. A failing garage door also has the risk of injuring you or a member of your family, so replacing your garage door if it is broken is vital. A new garage door can also improve its convenience of use. Modern garage doors can be installed with automation which means you no longer need to get in and out your car in awful weather to open and close your garage door. An automated garage door is also a very practical option for the elderly or those with limited mobility that may struggle to operate a manual garage door. Garage doors are often found at the front of our houses and they are very large. This means that they have a big impact on the first impression a visitor has of your home. Purchasing a new garage door can have a big effect on improving your homes curb appeal. This is a great way to change the way you feel about your house and it can increase your home’s value if you are looking to sell. At Academy Garage Doors we provide our customers with a wide range of options when it comes to purchasing a new garage door. They are all of the highest quality and our expert technicians have many years of experience so you can rest assured that you will receive the best quality service available. The areas we cover include High Wycombe, Witney, Reading, Maidenhead, Oxford, and the surrounding areas. Please browse through our website and check out our brochures. If you would like further advice and information, please contact us today on 01494 539 339.